How We Reached More Than A Million People On Social Media…. And positioned Ireland as the third largest tourism body in the world. Tourism Ireland is the national tourism body that markets the island of Ireland all over the world. With offices in 12 countries, it operates a very interesting decentralised model where each market has the freedom to choose its marketing strategy, based on content created from Central in Dublin. I was brought in to work with Central alongside the e-marketing team to scope and plan the tourist body’s social media practices, and to introduce processes that would enhance the efficiency of their social media activity. 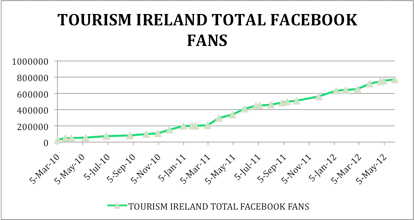 At the end of 2009, Tourism Ireland had 12,000 social media fans and followers. When I left in 2012, this number had risen to 1.3 million. Maryrose has a strong handle on the intricacies of operating within the social space, she delivered complex campaigns, and then nurtured each market to operate independently. Her tenacity and energy mean a project with Maryrose is guaranteed to run efficiently and effectively. This was a time when the winning formula on Facebook was bespoke apps + advertising. So our primary focus was managing content and apps for the 18 Facebook Pages in 8 languages. Having access to this kind of scale allowed me to test hypotheses and learn from user behaviour in relation to post decay, churn, and also to test innovative new ways of social media measurement. I was the Rapid Response Unit for the many changes taking place from Facebook at the time (launch of new timelines for Pages, competition rules, admin and security procedures). And I was also responsible for delivering on a very ambitious app development programme, which involved working with app developers to scope and secure the very best deals for Tourism Ireland on its app investments. 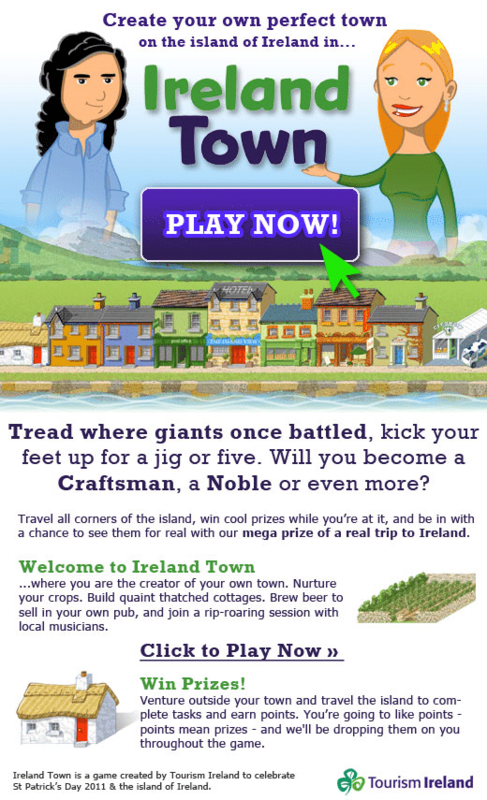 Launched the world’s first experiential game for Facebook from a tourist body – Ireland Town. 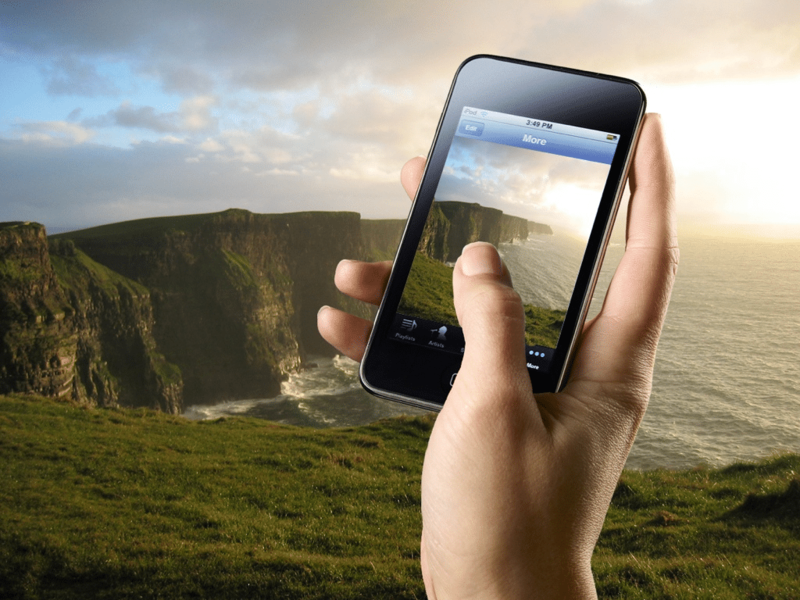 Worked with Betapond (a great Irish company) on a reusable data capture app – an innovative solution that fed directly into Tourism Ireland’s CRM, allowing for competitions with user generated video, photos and voting. Facebook Fans grew from 12,051 to 772,445. This app was the flagship St Patrick’s Day 2011 and contributed to a jump in Facebook fans of 149, 036. It was launched across all markets, in 8 languages. The app offered experiential experience of Ireland, in the hugely popular Farmville style. Ireland Town was installed by 208,120 users, with 121,923 weekly active users. And it contributed to a jump in Facebook fans of 149,036. I produced and delivered training for the contact centre in how to actively use Twitter as a customer service tool. 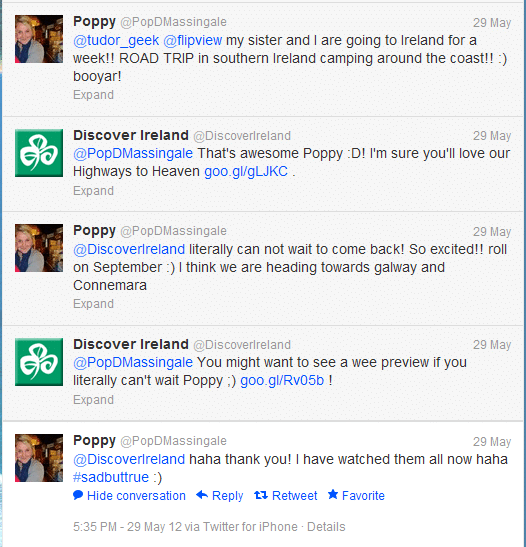 This resulted in great direct engagement with people actively planning their trips to Ireland. My legacy at Tourism Ireland was in the social media process documents that I created and left behind with market offices. Everything I worked on was broken down into step-by-step process with clear instruction for action, and communicated in education sessions to the market offices via webinar. The result was that each market office was able to manage its own social media presence, including set up and management of promotions, via the reusable data capture app. Larger markets have social media monitoring activity in place, with contact teams reaching out to potential tourists via Twitter, Tripadvisor, Lonely Planet, Frommers, and other forums. I was able to bring my story-telling experience as a blogger to help Tourism Ireland create great stories in a longer format via a blog. The blog took off (thanks to excellent content from Maxmedia), and before long we had four foreign language blogs as well as the main English language one, which were achieving great results contributing to long tail search traffic for Tourism Ireland. Social media listening was in its infancy when I carried out detailed analysis of the leading monitoring tools available at the time. I was tasked to recommend the best ones for Tourism Ireland’s needs which were quite specific. I then worked on introducing social listening for Tourism Ireland, and was involved in rolling out this tool with the contact centre. I believe I did some of my best work for Tourism Ireland. It was one of the few brands in Ireland at the time that had opportunity for managing social media at such scale. The team at Tourism Ireland are excellent and not afraid to try out new things and to take (measured) risks. I was able to take the learnings from experiments and projects we were doing and bring them to smaller clients enabling them to skip right ahead in their social media activities. If you would like to discuss how your business can benefit from this, get in touch. « How Many Tweets Per Year?